Fr Toussaint Zoumalde, Superior of the Capuchins in Chad and the Central African Republic, died a few days ago after being stabbed at Ngaoundere in the Francophone part of neighbouring Cameroon. He was travelling from Bouar in the Central African Republic where he had conducted a training course, back to his community in Chad. 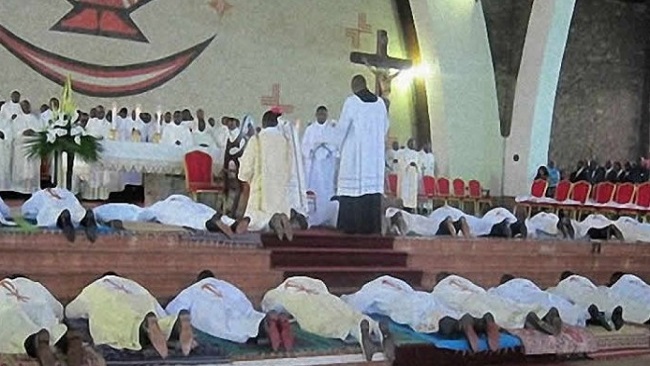 Fr Zoumalde, who was originally from Bouar, spent the night of 19 March in diocesan premises and was found in a pool of blood nearby the next day. It is suspected that Fr Zoumalde was killed by an anti-government rebel group but it is hard to pin responsibility for such incidents. In the last two days a number of incidents took place in the Anglophone regions of Cameroon: a football coach was kidnapped and released in Bamenda, a former government minister was kidnapped nearby, a football team of 15 was kidnapped at Buea University and 80 people travelling by bus from Buea to Kumba were detained in their bus from 9 am to 5 pm. These are assumed to be actions by separatists. The news has thrown into despair all the religious communities of Central Africa and all the people who have known him. Internally, in Cameroon, there are tensions over the two mainly English-speaking south-western provinces. A secessionist movement emerged in the 1990s, and turned into an insurgency in 2016.